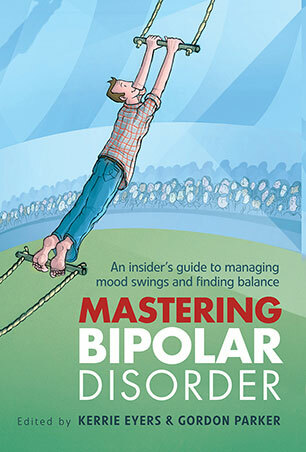 Mastering Bipolar Disorder gathers personal stories from the real experts: people with bipolar disorder. They share inspiring and sometimes amusing accounts of their experiences of bipolar episodes, and wise advice on ways of managing the highs and lows on a daily basis. They cover all aspects of bipolar disorder, from first symptoms and diagnosis, to times when the disorder is more or less under control. They emphasise the importance of personal strategies such as exercise and support networks alongside medication and professional assistance. With tips from clinicians and the latest research, Mastering Bipolar Disorder offers tested and proven solutions to help everyone with bipolar disorder and their families experience a better quality of life. Kerrie Eyers is a psychologist, teacher and editor with many years experience in mental health. She is the Publications Consultant at the Black Dog Institute, Sydney and is editor of Tracking the Black Dog . Gordon Parker AO is Professor of Psychiatry at the University of New South Wales and Executive Director of the Black Dog Institute. He is a renowned researcher with over 30 years experience with mood disorders, and is author of Dealing with Depression: A common sense guide to mood disorders .